A brand image generates a unique set of ideas, feelings and attitudes in people. To remain competitive, large companies sometimes alter or completely replace their images and relaunch themselves as fresh corporate brands. Similarly, competition between urban places to attract new investment, tourists and residents has led many areas to establish completely new brand identities. International events are often used by urban areas to create a new place image and act as a catalyst or process for fresh development and change. Barcelona has a history of reinventing itself using events dating back to 1888. The Universal Exhibition was held in Ciutadella, today the largest park in Barcelona, an oasis of leisure and culture in the centre of a busy city. Its 1929 World Exhibition is today�s main exhibition centre in Pla�a Espa�a. The 1992 Olympic Games changed the whole concept of a city which previously lived with its back to the sea and its legacy has been a successful and enduring 'Barcelona Olympic City' brand. Rebranding an area can help people become aware of the existence of new place products such the beaches constructed for Barcelona's Olympics. Urban localities may be regarded as 'products' in the sense that they provide labour, land, premises and industrial infrastructures to businesses, housing, shopping, leisure and other amenities to residents, while offering cultural and heritage products to tourists. Rebranding can also address the issue of 'MacDonaldisation' common in tourist destinations, and help differentiate an area from other places. The promotion of an urban place as a product will be enhanced, giving it a substantial competitive edge. Tourism has tended to cause uniform growth of cities, with the objective of making the tourist experience as similar as possible to what the tourists are accustomed to. Consequently, tourist destinations become indistinguishable and lose their richness, minimising their unique cultural features. Faced with the 'MacDonaldisation', emphasis should be placed on the heritage (social, cultural and natural) of the cities, and such heritage should be the object of tourist attention. Rebranding helps to discard negative imagery connected with an industrial heritage. Old industrial centres are frequently defined in the media by severe economic and social deprivation, homelessness, high levels of crime, vandalism, public disorder, pollution and a lack of civic amenities. As a consequence, they have increasingly needed to reposition themselves as centres of leisure and amenity rather than of production and heavy industry. Rebranding, carefully planned, can help engender civic pride. Barcelona used its 1992 Olympic Games to generate city-wide development. The process was presented as a 'one city' exercise in that it offered something to everyone, and was an effective means of uniting a city around a public project. Decisions relating to Olympic development were taken at all levels, creating a sense of local ownership and helping to re-assert Catalan pride and identity. 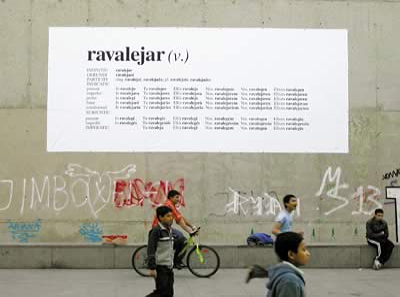 Barcelona has also added a new verb to the Spanish language to highlight changes in the character of its once infamous inner city Raval district. The aim is to attract new visitors to the district, create pride of belonging amongst its residents and help develop a new brand image for the neighbourhood. An increasingly common practice is for a city�s authorities to attach a fresh brand identity to a particular locality within the city, especially when the area has been redeveloped so extensively that its basic character has changed. Many inner city districts of 'industrial' cities went into decline in the 1960s and 70s, resulting in high levels of economic and social deprivation. Often the people who continued to reside in these districts were unskilled and unemployed. Government policy both in Western Europe and North America has been to enhance the attractiveness of depressed inner city areas by stimulating both business investment and the inflow of new residents. There are many examples of district rebranding within urban conurbations. For instance, plans were proposed in 2002 to transform London�s Bishopsgate Goodsyard area into the 'Covent Garden of the East End', with a raised 'park in the sky' alongside 'green paths and modern amenities'. Controversy surrounded the development, however, as the district was the centre of one of Britain�s largest Bangladeshi communities and housed a local market and many small ethnic-minority owned businesses. Another example of district rebranding was the 1996 'London�s Wild' campaign which attempted to rebrand some of London�s central tourist areas as vibrant and exciting, with a 24-hours a day night-life and culture (rather than their being traditional historical places dominated by museums and art galleries). The modern approach to district rebranding is to try to make a location a desirable place in which to live (as well as to invest and develop industrial activity) and one that outsiders will want to visit for social and recreational purposes and in order to shop and spend money. Hence an urban regeneration programme might devote as much attention to removing graffiti, laying flower beds and refurbishing facades as it does to the conversion of old warehouses into cheap business premises. The availability of parks, libraries, swimming pools, theatres and museums may be deemed as important as the creation as new manufacturing premises, car parks and convention centers. Although the marketing of an area cannot of itself physically improve the district it is undoubtedly the case that, in the words of Hultink and Hart (1998), 'the world will not automatically beat a path to the door of a better mousetrap'. Rather, the advantages of new developments must be communicated forcefully and meaningfully to the public. Successful urban regeneration can only be achieved when people become aware of the existence of new place products and recognize that they possess real benefits. This implies a critical role for the marketing function during the process of rebranding. Urban regeneration typically involves the rebranding of the area concerned and can fundamentally change the character of a district. This may be highly controversial because the changes involved might result in the importation of financially well off residents, business infrastructures, and cultural and leisure facilities more suited to better off people than to poorer pre-existing inhabitants (who might be driven out by rising property prices and rents). A brand image suitable for one group of stakeholders (business investors for instance) may be inappropriate for others (e.g. pre-existing residents). Ideally, the brand assigned to a place will reflect its attributes, characteristics and core identity. In many cases, however, the area that is to be rebranded will have a history of social and economic problems and may be extremely diverse in terms of local residents' ethnicity, social class, culture, lifestyle, income levels and types of employment. There need be no unity of purpose among resident groups, each of which may perceive the 'city product' differently. Consequently it might be difficult to develop a brand that convinces everyone, from local citizens to potential foreign investors. Pre-existing residents of a community may want its brand image to project the district�s local distinctiveness and the aspirations and cultures of current inhabitants. Urban development agencies, conversely, may seek to establish place brands grounded purely on commercial advantages, e.g. the availability of cheap labour, government incentives, low costs, ancillary business services, technology infrastructures, and an area�s international links and orientation. Such messages may have little meaning for local residents. Urban development authorities may well be taking decisions about which groups they wish to attract from outside and which preexisting categories of resident they want to retain and nurture. Many urban places have multiple stakeholders (old and new residents, business investors, retailers, domestic and foreign visitors, owners of sporting and leisure venues, etc.) and conflicts among them may occur. The UK Department of the Environment (1998) reported 'continuous warfare' between local residents and business interests over proposals for the redevelopment (and by implication the rebranding) of certain districts in several English cities and noted how 'resident communities' did not always experience the benefits of regeneration programmes as much as newcomers, tourists, visitors, and others from outside. The challenge for the marketing manager is therefore to merge multiple identities within a specific location into a concise and easily understood brand which appeals to business investors and tourists but without compromising urban local culture and the distinct pre-existing characteristics of the area. The main steps in rebranding comprise name creation and registration, the design of a logo and associated visual image, market research, and advertising. More fundamentally, rebranding might be seen either as a tactical issue whereby the new brand is operationally attached to the place product, or as an important strategic matter in which all the processes of the urban development authority revolve around the construction and development of the new brand. Source: The Rebranding of City Places, Roger Bennett and Sharmila Savani 2003.